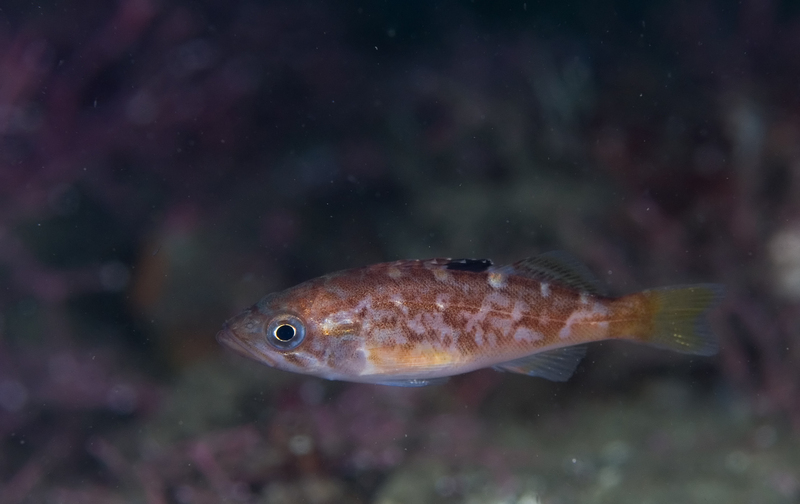 Reading Rachel Carson’s 1943 paper on New England fish got me curious about what baby rockfish look like. 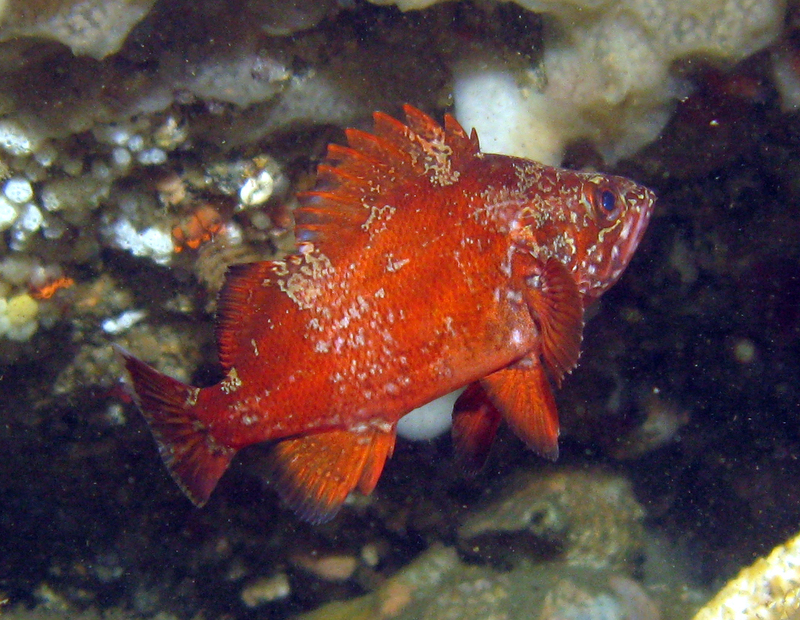 As Carson notes in her paper, Sebastes rockfish are unusual because they are born alive, just a fraction of an inch long. I went to the one source I knew would have a picture, Milton S. Love and the Love Lab at the University of California, Santa Barbara. He came up with two pictures for me, this one by Janna Nichols of a Vermillion rockfish and a second shot, by Robert Lee, of a yellowtail juveniles. 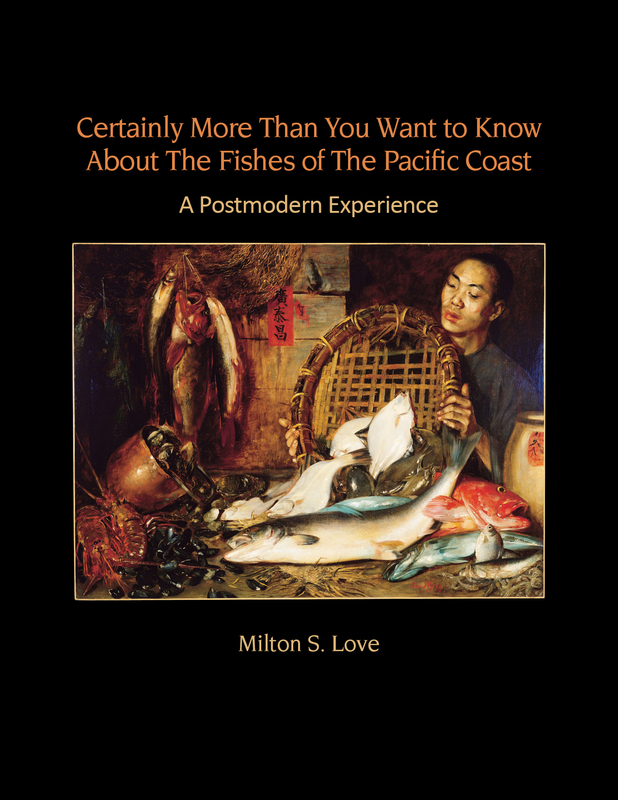 Chutzpah is not the first word that pops into your head when you think “fishery scientist.” But it’s a great word to describe Milton S. Love, who is not only a respected fishery scientist, but one who is so audaciously self-aggrandizing that he offers to either autograph or kiss copies of his book. I think it is safe to say there is nobody on par with Love when it comes to shredding, stomping, and stabbing the traditional stereotype of a bloodless scientist. While the ultimate scientific paper “reads like it was written by a constipated robot,” Love’s goal is to humanize the science, which he cautions is intentionally written without emotions, which might cloud the interpretation of the data. Love not only humanizes the science, he crosses the boundaries between science and art, throwing in paintings, songs, and poetry, as well as a style that would hold up well in an interview on The Jon Stewart Show. He also wants to provoke emotions in the readers, awe and wonder at the richness and complexity of this underwater world that we know to little about, and an appreciation for species that if we encounter them, it is as a fillet on a plate, cut from an animal that most of us cannot even imagine. Love grew up in Southern California in the 1950s, a small boy obsessed with catching a lot of brilliantly-colored fish. He turned that fascination into a fisheries science degree that deepened his interest in one particular family of fish, the family known as Sebastes. Briefly put, he thinks they are cool. Along with fellow scientists Mary Yoklavich and Lyman Thorsteinson, Love wrote a book about how cool they are, The Rockfishes of the Pacific Northwest, published by the University of California Press in 2002. Why are they cool? Love and his friends wrote 405 pages explaining why. 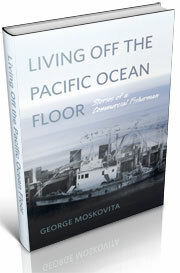 Now, Love is back with an even thicker book (650 pages) and wider scope, from just one family, to Certainly More than You Want to Know About the Fishes of the Pacific Coast: A Postmodern Experience. Like Rockfish, it is beautifully produced, jammed with wonderful pictures like the mating sharks, and filled with information about incredible species like spotted opahs. 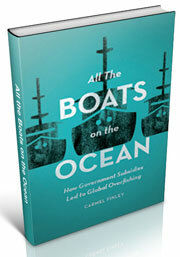 He includes fragments of the history of ichthyology, as well as pithy quotations from such luminaries as John Cobb, the founder of the School of Fisheries at the University of Washington, who wrote The Canning of Fisheries Products in 1919. Each entry includes basic information such as common names, characteristics, life history. He scatters suggestions for further reading like confetti and makes some very off the wall comments, such as calling California grunion “that iconic symbol of unbridled friskiness,” truly a thought that I had never entertained, but perhaps there is a scientist somewhere to whom it will have special meaning. 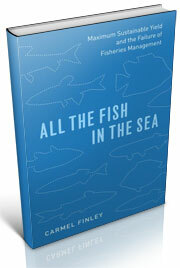 For more about John Cobb, check out J. Richard Dunn’s excellent paper in the Marine Fisheries Review 65 (3), 1-24. This entry was posted in Environmental History, fisheries science, Fishing, History of Science, History of Technology, Ocean fishing, Pacific Fishing History Project and tagged Jergen Westrheim, Milton Love, Pacific Ocean Perch, rosefish. Bookmark the permalink.